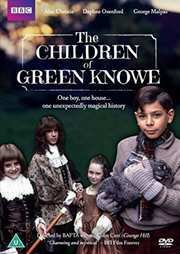 Many in their early to mid-thirties will be in a celebratory mood with the official release of ‘The Children of Green Knowe’. It’s one of those classic BBC children’s serials from the halcyon era, airing at a similar time to the Narnia series, and other marvels like ‘Moondial’, ‘Five Children and It’ and ‘The Box of Delights’. 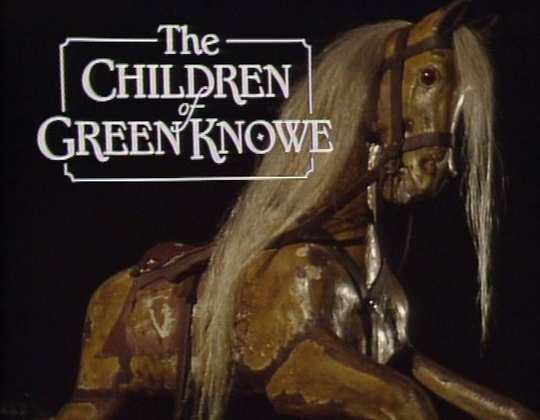 Watching ‘Green Knowe’ again today shows that it fully deserves its reputation as being one of the finest of the era – mixing a strange and atmospheric magic with gently paced historical drama to create something quite unique. 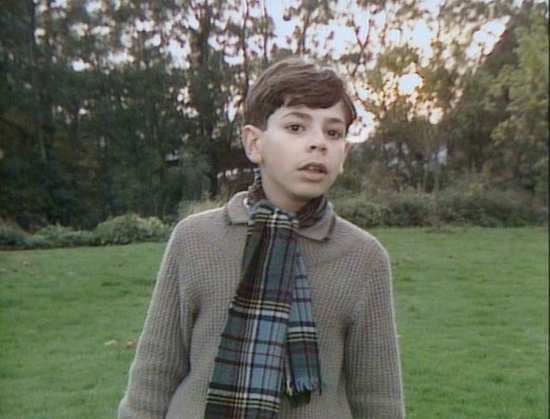 It also benefits from tight direction, atmospheric music and a very able cast, headed up for the most part by a young unknown actor, Alec Christie, who does an incredibly good job for such a young boy. (Nostalgia freaks may enjoy this contemporary interview here). 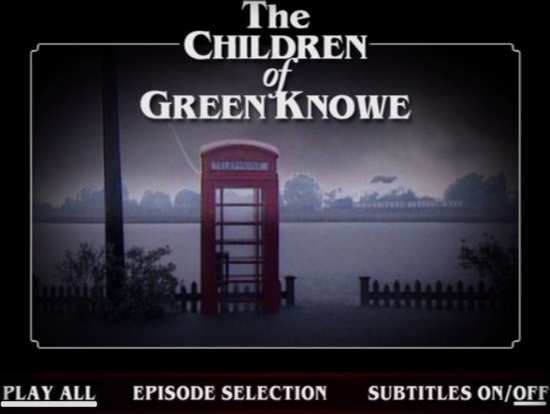 ‘The Children of Green Knowe’ was 4-part, 30 minute BBC drama serial based on the first book of the ‘Green Knowe’ series of books by author Lucy M Boston. The books centre around the ancestral home of the Oldknowe family, where the past comes magically to life, reflecting the history of many generations of the family who have lived there. It was a brilliant device to help young readers get a sense of history and the excitement of the past. The series aired in 1986, and was repeated several times in the late 1980’s before sinking without trace – until now. 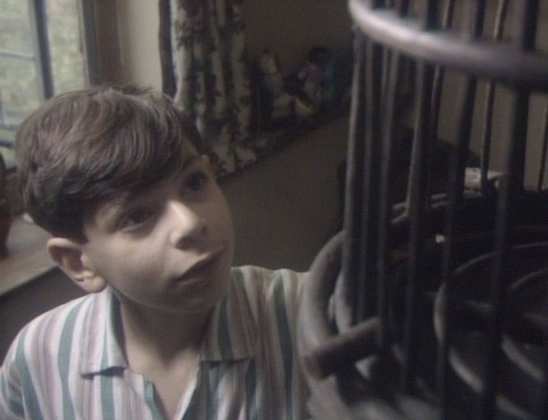 Toseland (or ‘Tolly’ which is the name used throughout the series) is an unhappy young lad who, in the absence of any parenting (his Father is serving in Burma) seems to spend every holiday at his boarding school when all the other children make their way back to their respective homes. He is a quiet, studious boy who, one Christmas, gets news that his great –grandmother has sent a note to the school requesting the boy’s company that Christmas. So off he sets aboard a steam train (the series is set in the early days of WWII or thereabouts) to the ancestral family home of Green Knowe; a remote and isolated manor house which gets cut off during the winter months because of flooding and is really only accessible via a boat. When he gets to the house in the pouring rain he meets his ‘granny’, who is an elderly lady who is determined to make his stay a good one. Sitting by a cosy fire they exchange conversation over tea and cakes until it’s time for him to go to bed, which is where his adventure begins. He starts to hear ghost-like children’s voices, as well as footsteps and other noises. Rather than terrifying him, he feels strangely comforted by them as if instinctively knowing that they are harmless echoes from the past. 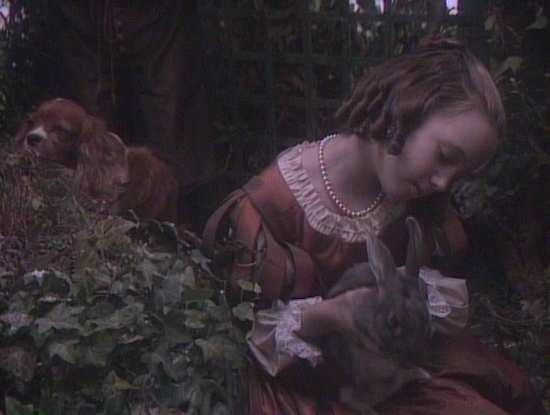 As he explores the house and its grounds, and learns more about his family history from stories told by Granny and the gamekeeper, Mr. Boggins, he starts to see, and play with, children who would have been his ancestors from during the reign of King Charles II who once even visited the village near Green Knowe. Over the course of his time, and many mysterious encounters, he learns about the history of the house and its people – and soon learns that he is not alone in seeing the spirits from the past. His Granny is all too aware of their presence too. The four 30 minute episodes, easily watchable in one sitting, are really quite magical – moving at a remarkably, gentle and unhurried pace and, despite being shot for the most part on video-tape, very nicely directed by Colin Cant (best known for his work on Grange Hill, but also known for ‘Moondial’). The series also boasts a stellar cast, including Daphne Oxenford as ‘Granny’ (best known for ‘Coronation Street’ but she was also the voice of BBC children's radio program "Listen With Mother" in the 1960’s where she opened each show by asking "Are you sitting comfortably? Then I'll begin. 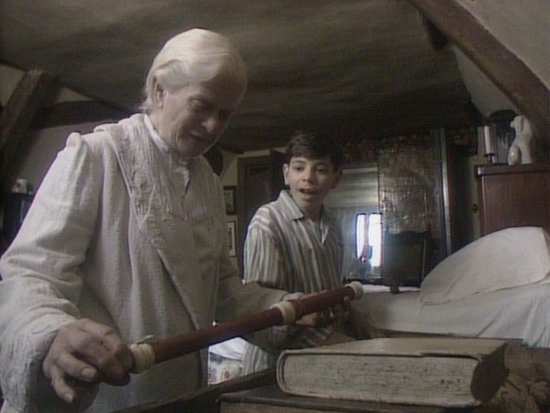 "); George Malpass as Boggis (Tom Grattan’s War and Young Sherlock Holmes) and young Alec Christie himself. Image quality is excellent (given the video source recording) as is the mono soundtrack. In fact, my only gripe with the set is the lack of contextual extras – a contemporary interview with the younger members of the original cast would have been welcome, though I suppose we should be grateful that the series has been released at all. If you remember the series with fondness then you’ll want to grab this out of a sense of nostalgia, or perhaps to share some great TV memories with your own kids. However, if you have never seen it before, and have a fondness for this era of BBC Children's television (and why wouldn’t you?) then this is well worth picking up.